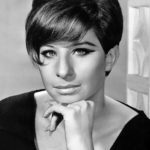 Barbra Streisand is an American singer, songwriter, actress, and filmmaker. She is among a small group of entertainers who have been honored with an Emmy, Grammy, Oscar, and Tony Award, and is one of only two artists in that group who have also won a Peabody. "I’ve considered having my nose fixed. But I didn’t trust anyone enough. If I could do it myself with a mirror." "We have a president who stole the presidency through family ties, arrogance and intimidation, employing Republican operatives to exercise the tactics of voter fraud by disenfranchising thousands of blacks, elderly Jews and other minorities." "I always wear the same thing at home. I can’t be bothered with jewelry. My pants have elastic waists. I like to be comfortable. There are so many more important things to worry about." "Just like my father, I’ve always loved education. In school I was a member of the honor society." "What is exciting is not for one person to be stronger than the other… but for two people to have met their match and yet they are equally as stubborn, as obstinate, as passionate, as crazy as the other." "I must have got my detailed, obsessive streak from my father, who was an English teacher, because my mother wasn’t like me at all." "Men are allowed to have passion and commitment for their work… a woman is allowed that feeling for a man, but not her work."